Hey, it’s been a while….does anyone even blog anymore? This is where all my Israel creativity started. Almost 11 years ago, I took part in Nefesh B’Nefesh’s first-ever blogger conference, long before anyone had heard of Twitter. 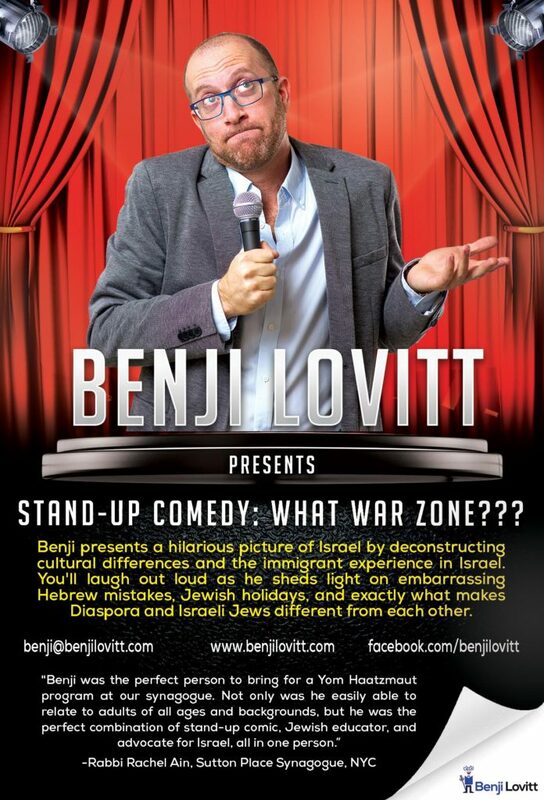 Despite my lack of written content, I’ve been doing a lot more standup as of late which I’ve really enjoyed, as my material gets less oleh chadash-y (new immigrant-ish) and more Israeli (or at least, more sophisticated in terms of my observations). 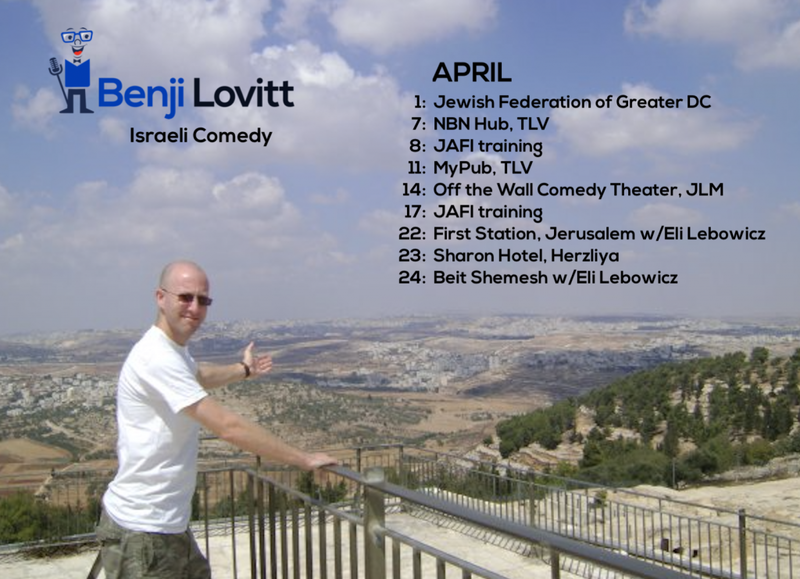 If you haven’t seen my show in a while, you have several opportunities here in Israel, and I’m already planning my next few US trips. Here’s what I’m up to over the next few weeks (more details here or coming soon). 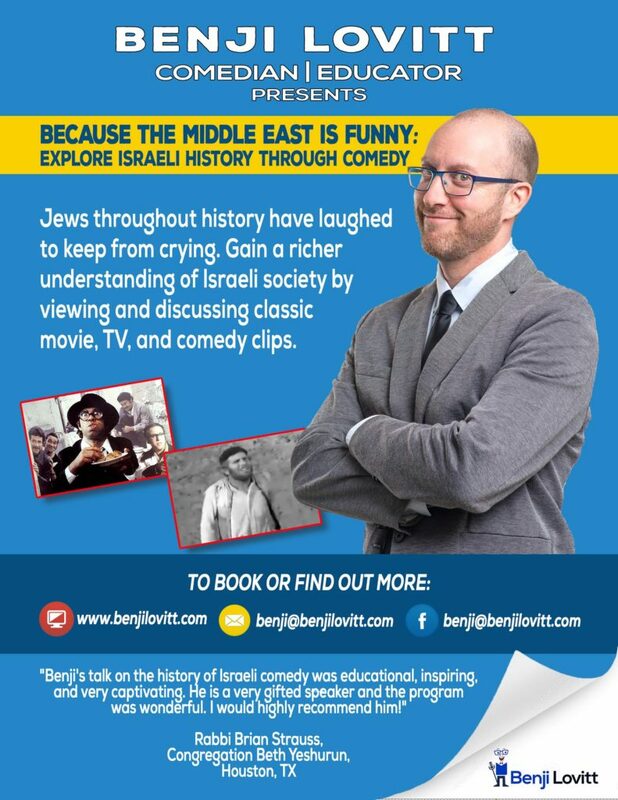 If you’re looking for some fun Israel programming, talk to me! And be sure to subscribe to my newsletter at the bottom of this page for more updates.